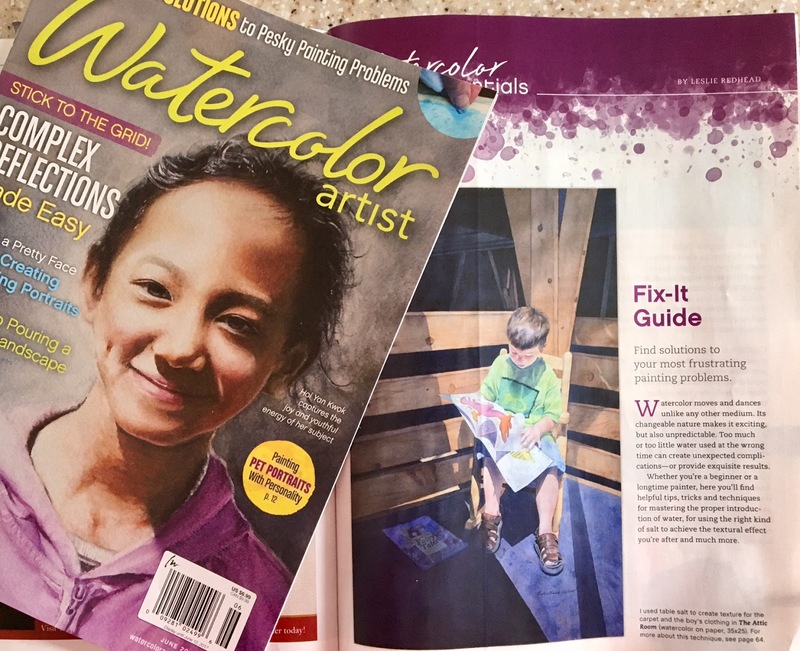 A few days ago I received a text message from friend and fellow watercolor artist, Connie Pepper, congratulating me on my article in Watercolor Artist Magazine. I had no idea what she was talking about. 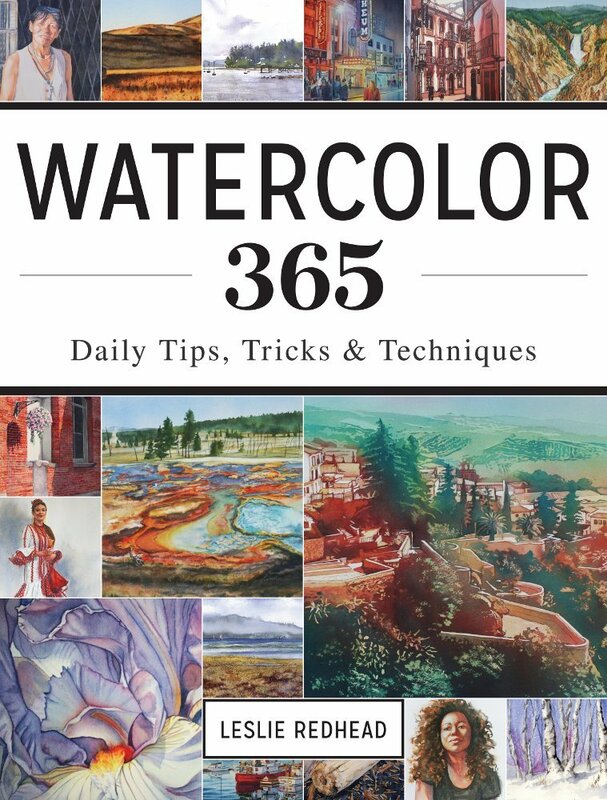 So imagine my surprise and delight at seeing a 5 page feature on my book, Watercolor 365. Not only is my dream of being a hand model coming true through the publication of my book, but now my hand (and my art!) are in a magazine. Dreams do come true! Now I must insist on someone else doing the dishes as I go put some lotion on my now famous fingers and hands. I will be demonstrating and signing copies of my book at Barnes & Noble Bookstore in Twin Falls, Idaho this coming Saturday, April 29, 11 am- 3pm. 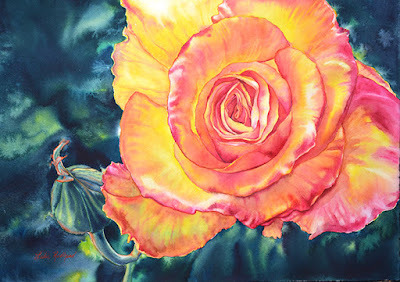 I am getting ready for not only a course I am teaching on watercolor florals but also for another solo exhibition of my work. Since it is May and Mother's Day is around the corner, the show is of my florals. The exhibition is appropriately titled Bloom! for so many reasons other than just the blossoming of flowers at this time of year. I have recently returned to Idaho and am trying to now bloom where I have been planted. It was hard to leave behind the garden where I was living. It was abundant with friends and students. Fortunately there are many good people, new friends, and an abundance of extended family in this new garden that my own small family has been transplanted into. Let's hope that the soil continues to nourish us on this new journey. The show will be at the Tin Roof Coffeehouse in Burley, Idaho for the month of May. 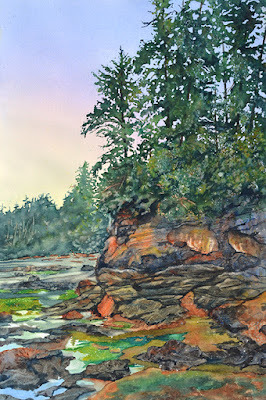 Two weeks ago I taught a Fun and Free Watercolor Landscape workshop in Victoria, BC. 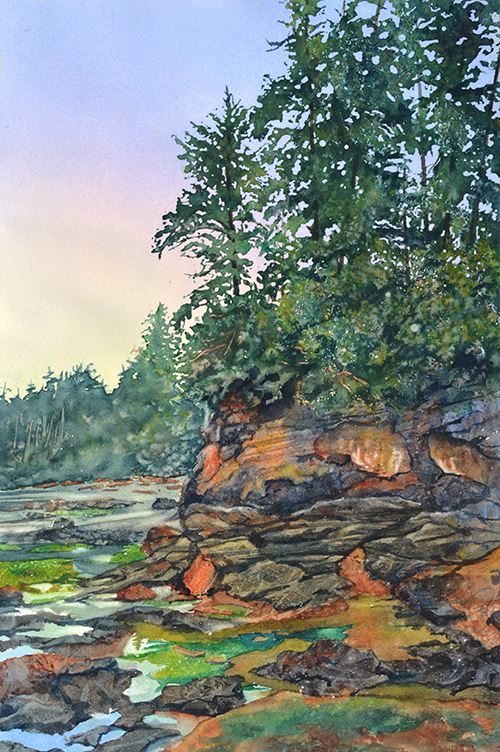 For the workshop, we painted an image from Botanical Beach near Port Renfrew, BC, which is located on the southeast coast of Vancouver Island. In this course, I showed my students how to simplify and create trees and rocks. 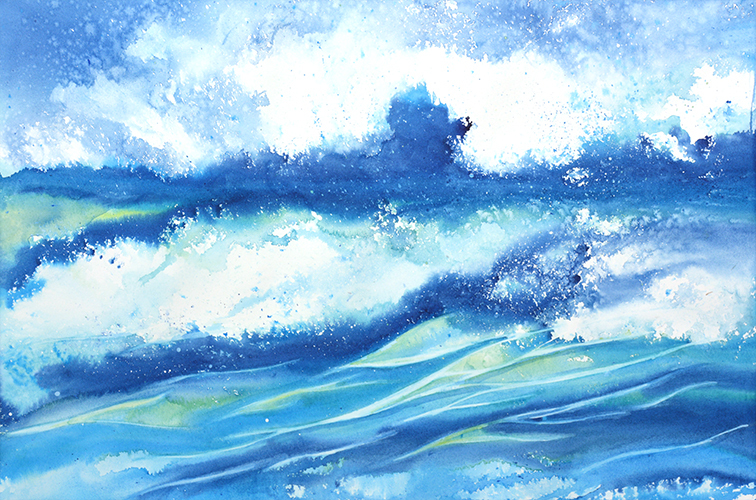 To view a more detailed version of how this was done, please visit my other blog, Watercolor Weapons. 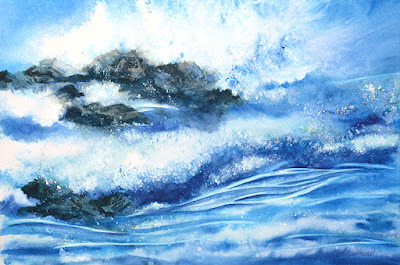 It seems like I have been asked to demonstrate how to do waves in several of my classes and demonstrations lately. 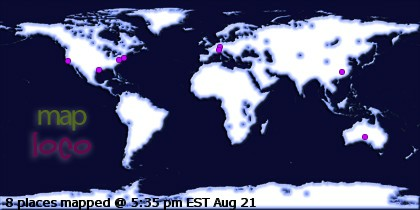 Here are some more.